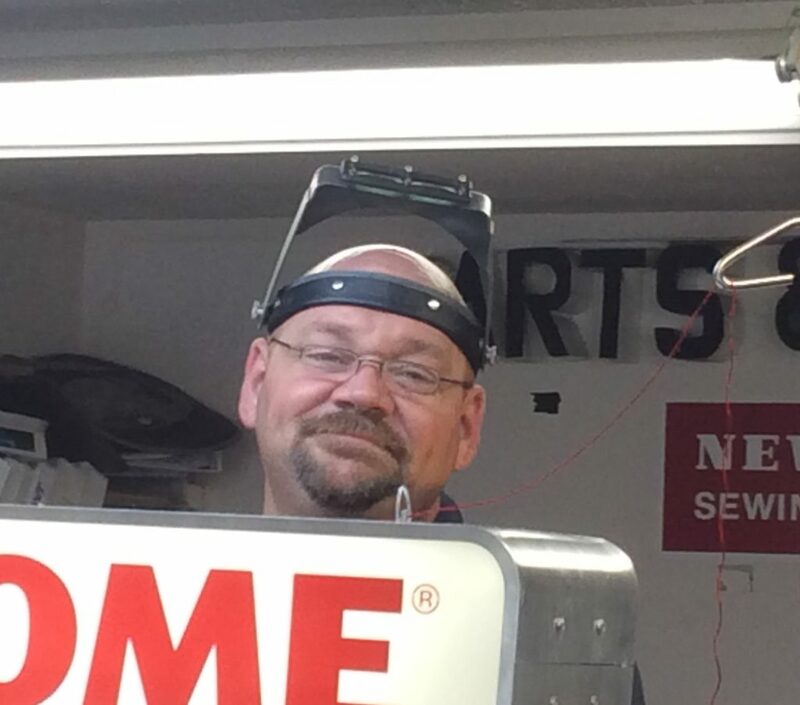 Seen here at our former location, Eric Johnson is Janome certified to work on our Janome machines for service and repair, but he also enjoys working on old vintage machines, Kenmores, and is available for call-outs on industrial machines and some long arm machines. When a local dealer isn’t available for work on your machine, we may work on it at our discretion, depending on the model and issues. Our reputation for machine repair and instruction is second to none and we enjoy keeping your machines humming.